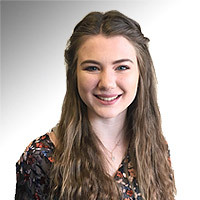 Laura joined Palladian Publications in January 2018 and currently working as an Assistant Editor on Hydrocarbon Engineering and is enthusiastic to expand her knowledge of this industry through this role. Laura graduated from the University of Edinburgh with a distinction Msc in American History, after studying her History undergraduate at the University of York. Having recently relocated to Farnham from Somerset, Laura enjoys reading, walking the dogs and travelling in her spare time.